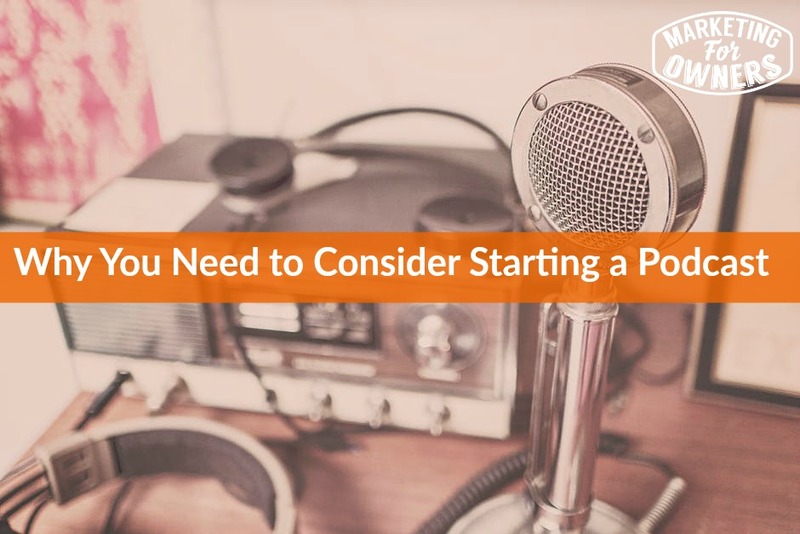 The reason you need a podcast – now you don’t have to have one, however, it is easy. It is easier than you think to create a podcast. This is the funny thing: a lot of people think it would be quite technical. I did when I first started. It’s one of those ones that once you have actually put a podcast out onto iTunes that you go, ‘Oh! Really, was that it?’ It is that simple. Once you set it up, iTunes just finds it, as long as you keep recording them. So, why would you want to do it? I have people, I have members of the owners’ club form Japan, from…clients from Alaska. I’ve had emails messages from Sweden, people from South Africa, from all sorts of countries, from Australia, from all sorts of countries, all over the world. And that is because they found my podcast. I’ve always been amazed, I thought how on earth did they find me and it’s more often through my podcast and through the website. And why is that? I don’t know. But it’s free. It doesn’t cost me anything to put it out there. I do host it on Libsyn which is a hosting program, starting at like $5 a month or something which is plenty for the beginner. Now, the other thing is whatever you put out on a podcast, it’s their for eternity, it’s like Netflix, its on-demand. You can call it repeats. Someone can go and find my podcast tomorrow, then they can go listen to episode one, they can listen to episode six hundred. It doesn’t matter. They can go to the start, they can find all of them. There are all there forever until I take them down. It’s there for eternity. So, now I’ve got six hundred; there are six hundred more chances of people finding my podcast, and if I do say myself, I think that’s pretty good. Why Would You Do It? Ever had that happen to you? Because I certainly have. Eh, Jon on fire, entrepreneur on fire, yeah…yeah. My…I had a whole business set up based on the thing of ‘Jon on Fire’, everything else, ‘Entrepreneur on fire’ came along little bit after but just ran and sprinted out the door. I just didn’t even bother. So, there you go; you’ve got to get in there with the opportunity. Now, I’m recording this in Canada, by a duck pond and I’m freezing cold. Is my nose red? Fingers are certainly cold. So, what have I got? I’ve got a tripod that I bought on Amazon. It stretches to six foot and it’s pretty good. It cost about $20. It’s actually a Polaroid, if you look up a Polaroid. I’m using my iPhone; it has a little Lavalier microphone. This one gives you better sound and that’s how I get quality sound. I know, you professionals thinking, ‘Oh, it’s not a studio,’ but hey, this is quality sound and this thing is fifty-sixty dollars? There are lower price ones. Make sure they are compatible with your iPhone because they are funny things, and this is simply on a lead going into it and that’s it. Oh, and a holder, and a holder for the iPhone. And again, get them on Amazon, they are so cheap. That is all you need, my friend. It is as simple as that. And then you can be often podcasting. The way this works, by the way, you have to have a website. If you haven’t got a website, with WordPress, then you’re just missing out, just go away, get yourself a website. Join the owners’ club, by the way, it’s got WordPress or website 101, it shows you how to set up one; dead easy. But once you do that, you can put up a plugin on your website which will usually be free and then you upload your podcast as an mp3 file which is the same as uploading a photo to Facebook or something like that. It’s just camera to that, simple. And then there is a thing called a feed. It will give it to you on a website, it will say just paste this into iTunes. It is free and it’s just there and every time you put up a new episode on your website, Apple is constantly looking to see if you’ve got new episodes and it sees it and finds it, and it’s there. You do not load anything ever again. And it’s the same you put on to Stitcher, on to SoundCloud or whatever. You don’t do anything ever again, it just does it. That is why you should do it because it’s there, because it’s free, because it’s easy and because podcasts are radio on-demand. And cars are becoming podcast enabled; they are getting Apple play, android this and whatever else there is. They’re enabled and people will just consume more podcasts. That’s why, do it! It is Thursday, so it’s time for a drive-time podcast recommendation. This is really good, it’s been around for a long time. 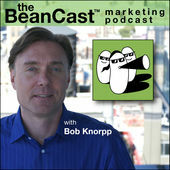 It’s called ‘The BeanCast’ by Bob Knorpp. It is really good, it’s a chat one, really, really good. You’ll like it. Tomorrow’s Friday, tomorrow is great. We’ve got a guy called Ian Paget who’s of Logo Geek. Really, really great story. He is like us, everyone. He came from nothing. He’s accidentally built a business, he didn’t realize who’s trying to buy. He is still amazed people pay him and he explains how it happened. Isn’t that what we all want to hear? Anyway, I recommend it. You’ll enjoy. Speak to you soon.